the assumable balance of $26,000! Installments as low as $286 monthly! 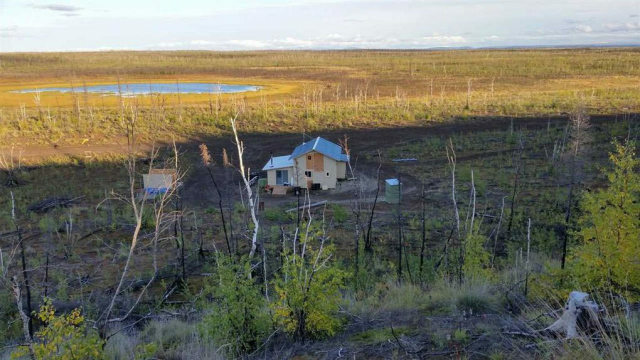 Please take the time before you read any further to understand this property is located in a remote portion of rural Alaska: The Last Frontier, The Wild Wild West, Grizzly Bear Country. There will be no nearby market, 7-11, Gas station, Liquor store, and no beauty salon.There are animals here that can ruin your day quite quickly if you are not prepared with the right equipment and that includes high powered rifles, handguns and knives. You are not going to drive there in a Toyota Prius. You are not going to be able to get all the way to your property with a 4X4 vehicle although you will be able to get part way there with a 4X4 and then finish with an all terrain vehicle, snow mobile or snow cat. You can fly in with an Air Taxi which is a common way to access this type of land in Alaska. You can also Snow machine to your land in the winter. You can build a cabin over time with the timber on the land if you wish or bring in building supplies over time as others have done to build. You can take in an all year round tent, and store it on the land to use it as you develop. 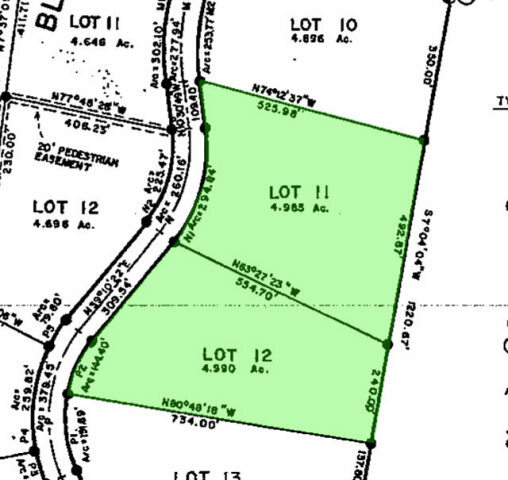 This is not lake front land but has deeded access to the lake and to the public land that totally surrounds the lake. 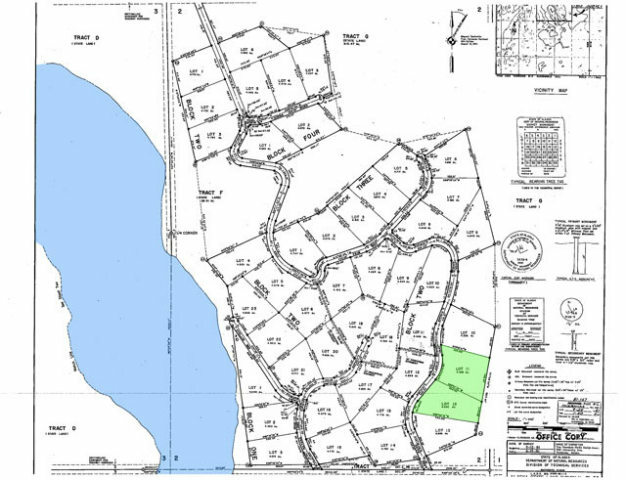 Lake front land can run in the $80,000 range so this parcel that is close to the lake but not lake front is a great buy. 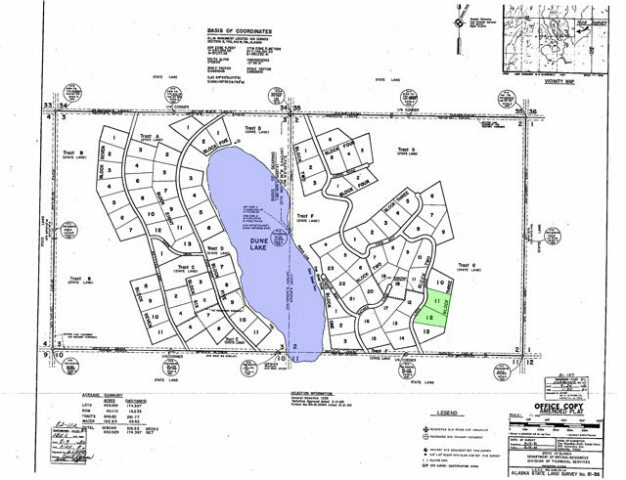 So, if you are still reading please read on�This auction is for 9.975 Acres, parcels 11 & 12, block 3, of the Dune Lake Subdivision. The cabins visible in the pictures are not included in this auction. The pictures in the auction are general pictures of Dune Lake. 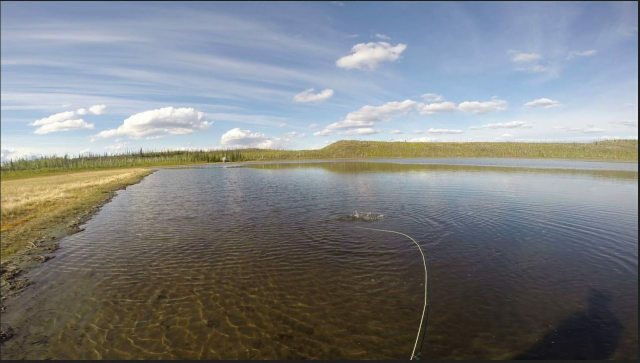 Dune lake is located about 26 miles south west of Nenana as the crow flies. The lake is stocked with rainbow trout, artic graylings and coho salmon. 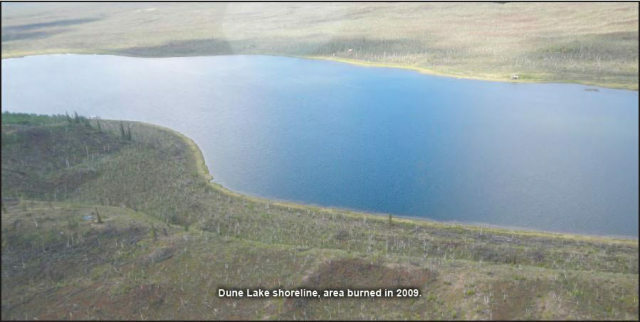 The lake itself is about 212 acres with the deepest part being close to 30ft deep. This land would be a great summertime fishing camp or just a fun retreat to get away from the hustle of modern day living. 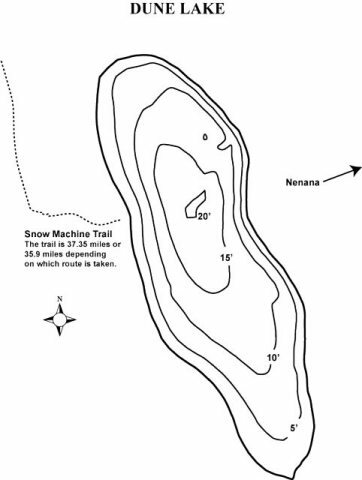 Access would be by snow machine on a 38 mile trail or bush plane. You could also hike in to the lake. Parcels like this are rare and do not last long. The Winning Bidder will assume a balance of $26,000. with monthly payments of approximately $286.